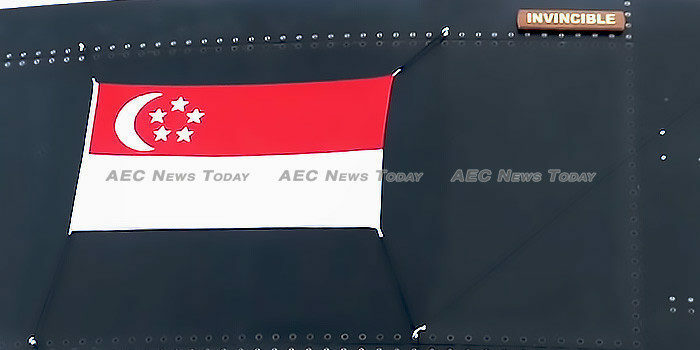 The RSS Invincible is the first of four Type 218SG submarines ordered by Singapore to replace two Archer-class and two Challenger-class submarines, which are now more than 40 years old. The submarines have been custom outfitted to meet Singapore-specific requirements, including relocating controls and narrowing walkways to suit average Singapore bodies, versus the larger and taller spaces comfortable for westerners. Fitted with improved sonar, the RSS Invincible enables the easy identification of different types of ships depending on the noises they generate, even in congested environments such as the Straits of Malacca, while its eight forward-firing torpedo tubes mean it can deliver a considerable punch if required. Additionally, advanced electronics and computers enable the boat’s weapons systems to be operated by fewer crew, with the 28 to crew it set to find their berths more spacious than on the older submarines. Powered by a diesel engine, the RSS Invincible‘s air-independent propulsion (AIP) system allows it to stay underwater twice as long as the RSN’s current submarines, before needing to surface to recharge the batteries. On the surface it can travel at up to 10 knots, while submerged it can reach 15 knots. The smashing of a bottle of champagne and naming ceremony though is a long way from the boat entering service. The RSS Invincible will now undergo sea trials, while RSN submariners undergo training on simulators before being embedded with their German counterparts. Delivery is scheduled to take place in 2021. The three remaining Type 218SG submarines, to be named the RSS Impeccable, RSS Illustrious and RSS Inimitable, are currently being built by ThyssenKrupp Marine Systems (TKMS), with staggered delivery dates commencing 2022.